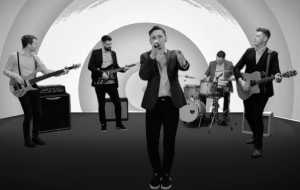 Arthur are one of Irelands most sought after Alternative Wedding Bands. We have a huge playlist to suit all ages, but we choose our playlist carefully and instead of playing the auld reliables like Wagon Wheel, we always dig deeper and find a better alternative that works just as good. We Fill Dance floors nationwide, we play a selection of songs that no other wedding band would attempt and this is why Happy Couples choose Arthur above all the other cheesy style bands! The band is made up of FIVE friends and fantastic musicians. The band was formed originally as a legacy to honour the musical tastes of a past member’s late father who’s name was ARTHUR! Friendship is paramount to the success of Arthur and passion for playing music together is why “Arthur Band” have become Irealnd’s favourite party band. We perform and explore all genres of music which has provided the foundations for the eclectic setlist we deliver today. Influences from the genres of pop, jazz, rock and country accompanied by songs from eras spanning the 70s to the present charts, decorate the setlist ensuring everyone hears a song that makes them want to sing along and hit the dance floor! Our job is to make sure you have a good time – And we love to do our job! Arthur provide full days wedding entertainment. We love doing Weddings and couples love the fact that we are unique and not your standard cheesy style wedding band. Corporates LOVE “ARTHUR” Why? Because we bring charisma to your corporate event. Its energetic, its full dance-floor entertainment, Its everything you want and need for your corporate event. We are “ARTHUR” We know corporates and they know US. We are all X college heads. We know what entertainment to provide for college events all over Ireland. We miss our college years and LOVE coming back to colleges to perform. Don't wait around...someone could be booking your date right now! Head over to our Reviews page to see what our past parties had to say, or even leave one yourself! Get in touch with us today. We will be back in touch with you with in 24hrs.